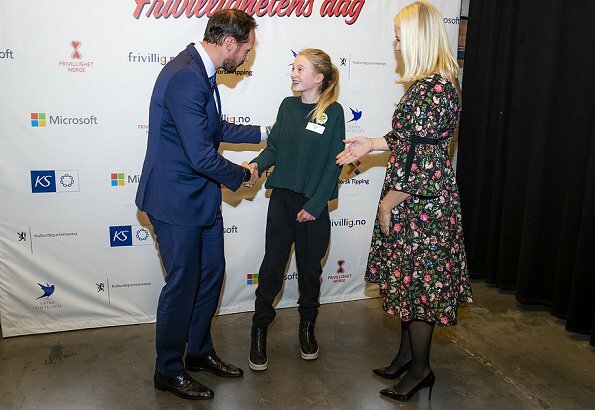 Crown Prince Haakon and Crown Princess Mette-Marit of Norway attended Volunteer Day event celebrated on December 5 every year. 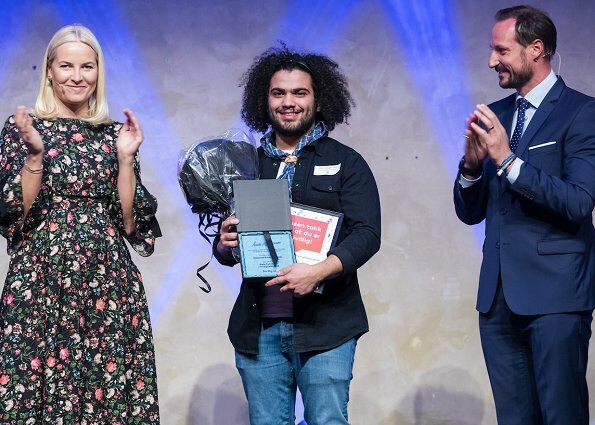 The celebrations took place at DOGA Foundation Headquarters in Oslo. 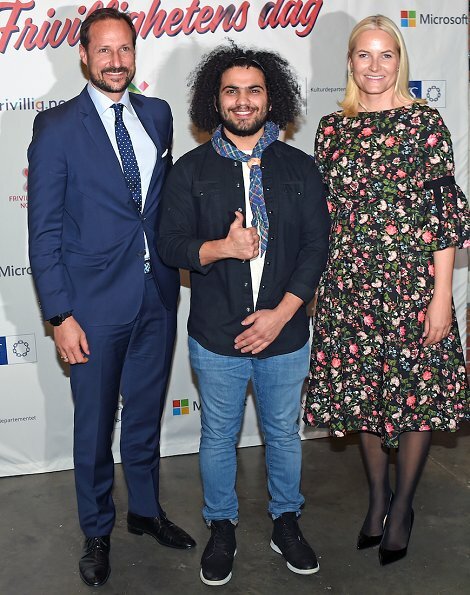 The Crown Princess presented 2018 Volunteers Award to Omr Deeb who came to Rjukan from Syria as a refugee four years ago and is currently the president of scout group in Rjukan, for his effort to be a part of Norwegian society. 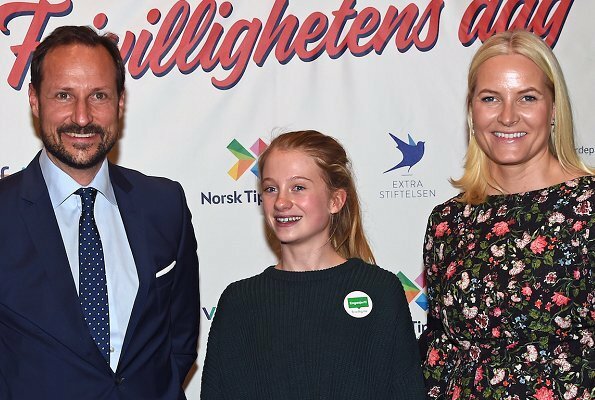 National Volunteer Award was given to 14 years old Penelope Lea because she works in Children and Environment Protection Agency. 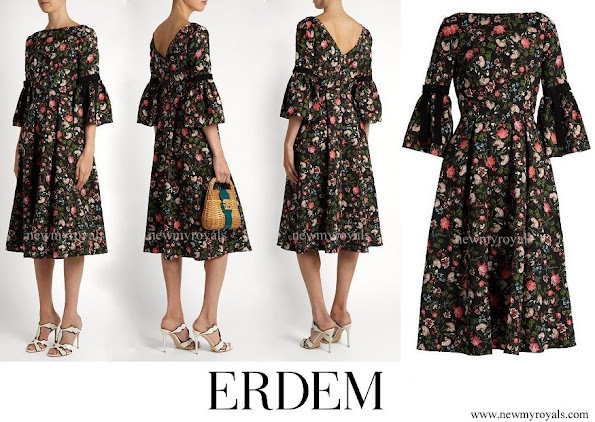 (At the event, the Crown Princess wore Aleena floral print matelasse dress by ERDEM). A good floral after a long time. 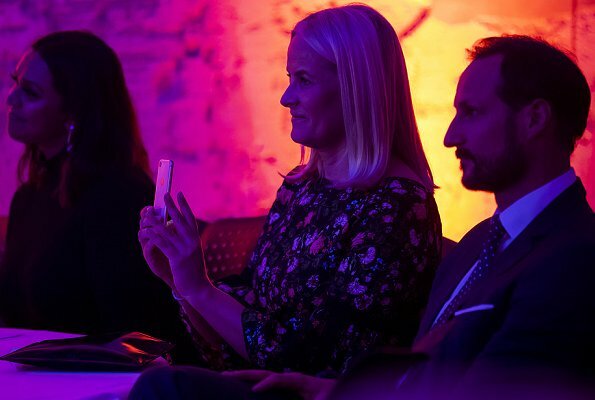 She looks lovely, hope she is fine. I adore her. 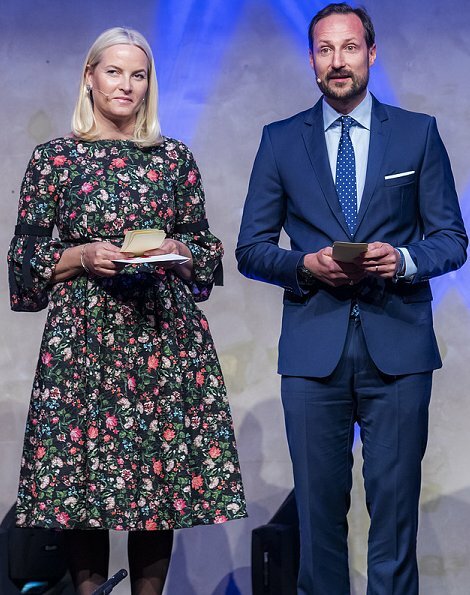 Dieses Kleid steht ihr einfach nicht. 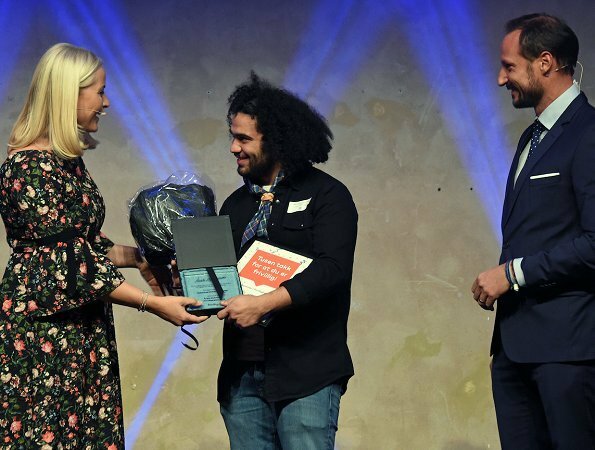 Weder die Länge, noch das Muster, noch der Schnitt. 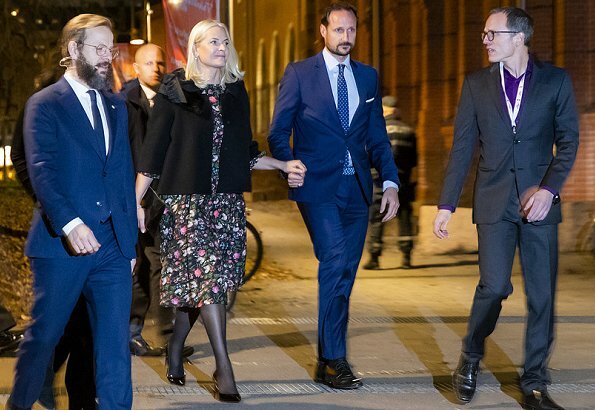 What a nice surprise to see CP Mette Marit. She looks great today. activ and grounded. By the way beautiful hair and makeup and natural smile. I absolutely love this dress. It's so feminine without being fussy, and is the sort of tiny floral print I've always loved. So pretty!